What is your book about? 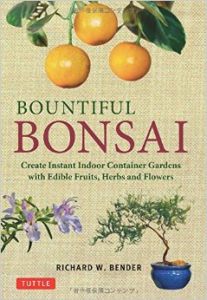 Creating and growing indoor bonsai that bear an edible crop. I had a wholesale bonsai nursery for more than 20 years, selling in 24 states, specializing in indoor bonsai with a preference for varieties that flowered and/or had edible fruit, flowers or foliage. I work at the desk in my home office, with a hotplate to keep my coffee mug hot and usually news on the television as a background. I got married 2 ½ years ago and retired my nursery business to write full time. My office is in my home. I get up, grab a cup of coffee, and work on my morning email and social media before starting to write. Working at home. I travel often for pleasure and learning, rather than traveling extensively, working long hours to sell my bonsai. I read about 100 books a year, too many to list here. I was inspired by a high school teacher/mentor, time I spent with Timothy Leary, and especially my incredible wife, who is a life coach with clients across the country and around the world. 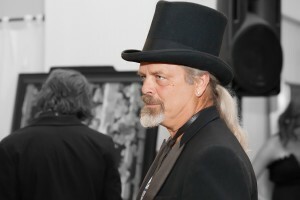 I am also a musician and have been a winemaker for more than 30 years. What’s next for you? I’m currently writing a winemaking book for Story Publishing about the 142 different wines I’ve created (from only 4 grapes). I write nonfiction about the things I do, because the things I do are wilder and more interesting than anything I can make up.